Moneysupermarket.com has split with Mother after seven years and is seeking a new creative agency. The review is going through AAR and is expected to conclude by June, with the final four shortlisted agencies announced in April. The new agency will be responsible for above-the-line creative and strategy development, while MediaCom will remain as the brand’s media planning agency. Moneysupermarket.com is planning to launch its latest campaign by Mother at the end of this week. The move comes amid a tumultuous time for the price comparison site, whose shares fell 25% last month after its earnings missed expectations. Chief executive Mark Lewis predicted slower growth this year and revealed a new strategy for the company, saying it would focus on improving the customer experience and personalising services. Over the past seven years Mother has created some of Moneysupermarket.com’s most successful ad campaigns. In 2015, "You’re so Moneysupermarket" won Campaign’s Campaign of the Year with ads showing a twerking businessman in heels and a pole-dancing builder. As a result of the campaign, Moneysupermarket.com received more traffic to its website than at any point in its history and the business grew by 38%. 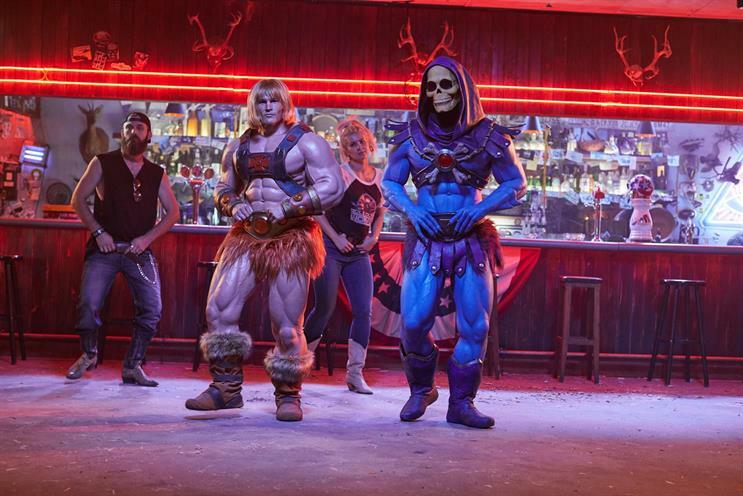 Last year Mother transported the brand to the 1980s with ads starring Masters of the Universe characters Skeletor and He-Man. The site saw revenues rise 6% following the campaign. Pip Heywood, the brand director at Moneysupermarket.com, said: "Having shared great success, many awards and a lot of fun in developing the ‘Save money, feel epic’ campaign with Mother, we acknowledge it’s time for a change. There is a huge mutual respect between Moneysupermarket.com and Mother and we are proud of, and grateful for, the work they have delivered for our brand – enabling us to stand out from the crowd in a loud category with highly disruptive, engaging and award-winning advertising. Moneysupermarket.com awarded its advertising account to Mother in 2011. Before that it had worked with Dare.